The programme on Peace, Human Security and Development analyses human security challenges to societies across the Asia-Pacific. Women, peace and security. Despite the acknowledgement of issues of inequality, and acting upon these through legislation, policies and programmes, ASEAN still has quite a way to go before gender-related discrimination can be abolished. Women and girls in the region are still vulnerable to various human insecurities. Vulnerability is often defined as multi-layered and multidimensional and created as a result of cultural, economic and political norms found in specific places and at specific times. The overall objective of this programme is to examine the different facets of vulnerability facing women in the region. This research programme will also explore the transformative possibilities of the UN Security Council’s resolutions on the Women, Peace and Security (WPS) agenda in creating sustainable policies, ensuring greater participation and facilitating the move towards a more gendered perspective on disaster response – a primary step in creating more resilient communities. This programme has the following research objectives. To extend WPS terminology (conflict, peace, insecurity etc.) to encompass disaster settings for the ASEAN Region, with sufficient evidence that such comparisons are similarities are possible in conflict and disaster settings. To draw similarities and distinctions of experiences of women in post conflict and post disaster settings. To do a comparative study of WPS National Action Plans in Philippines and Indonesia with regard to the adoption of WPS Agenda in the region, with the view to generate a regional action plan that addresses WPS issues including the protection of women and girls in disaster settings. Health and biosecurity. The NTS Centre’s work on infectious diseases and global health emergencies puts us at a vantage point of being able to examine the broad themes of global health governance, regional disease management and the inter-linkages of socio-economic and environmental factors that impact on health security. This year’s work plan includes an examination of the Zika virus, the latest in global health threats that has emerged this year. Anti-microbial resistance is another serious challenge to global health security. We will be exploring different approaches to tackle this problem in the Southeast Asian region. Several countries in the Asia-Pacific are planning to install nuclear power plants to satisfy their burgeoning energy needs. In this context, we are interested in assessing the health issues associated with nuclear energy. Mely Caballero-Anthony, Philippines’ Next President: Implications for ASEAN, RSIS Commentaries, 10 May 2016. Tamara Nair, Law and Gender: An Emerging Fault Line in Social Cohesion?, RSIS Commentaries, 19 April 2016. Vishalini Sagar, Women, Peace and Security: Impact of UNSCR 1325 On Indo-Pacific, RSIS Commentaries, 28 December 2015. Tamara Nair, Women, Peace and Security in ASEAN: Need For Distinct Action Plan, RSIS Commentaries, 23 December 2015. Tamara Nair. Indonesia’s Foreign Domestic Workers: Dilemma of Not Working Overseas. RSIS Commentaries, 10 April 2015. Alistair D. B. Cookv and Caitrίona Helena Heinl. New Avenues for Regional Cooperation: Tackling Human Trafficking in Asia, RSIS Commentaries, 3 April 2014. Margareth Sembiring. 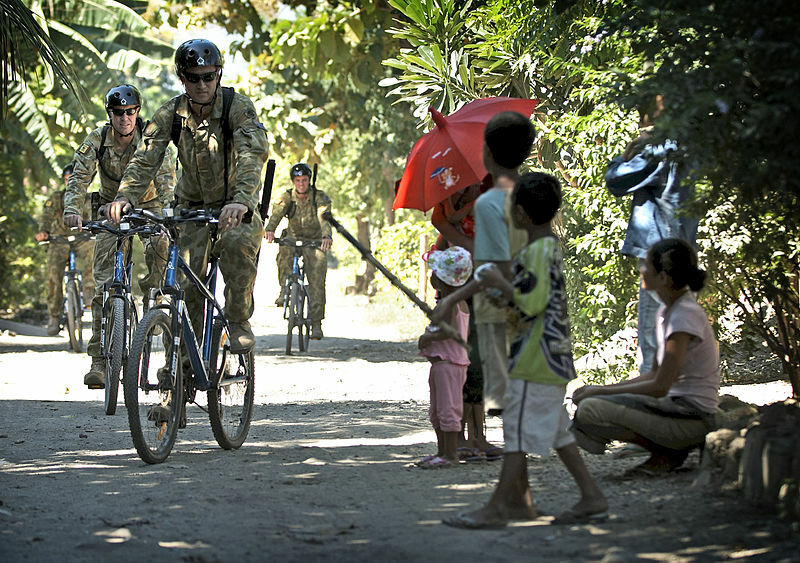 The Mindanao Peace Process: Can Indonesia Advance It? RSIS Commentaries, 28 October 2013. RSIS Centre for Non-Traditional Security (NTS) Studies, Women, Peace and Security in the Asia Pacific, 23 February 2016. RSIS Centre for Non-Traditional Security Studies and International Committee of the Red Cross. Consultative Roundtable on the Humanitarian Dimension and Protection Aspects of Trafficking in Persons (26-27 June 2014). Report, Singapore. RSIS Centre for Non-Traditional Security (NTS) Studies. Workshop on Community Resilience and Human Security: From Complex Humanitarian Emergencies to Sustainable Peace and Development (10-11 April 2014). Report, Singapore. Dr Noeleen Heyzer, Moving Beyond UNSCR 1325?, NTS Insight, 15 April 2016. Maria Anna Rowena Luz G. Layador. Of Auxiliary Forces and Private Armies: Security Sector Governance (SSG) and Conflict Management in Maguindanao, Mindanao. RSIS Working Paper, 16 January 2014. Samara Yawnghwe and Tin Maung Maung Than. Ceasefires sans peace process in Myanmar: The Shan State Army, 1989-2011. MacArthur Asia Security Initiative Policy Series Working Paper No. 26. Singapore: RSIS Centre for Non-Traditional Security Studies, 2013. Evan A. Laksamana. Containing spoilers: Civil-military relations and third parties in the post-Suharto Aceh peace initiatives. MacArthur Asia Security Initiative Policy Series Working Paper No. 25. Singapore: RSIS Centre for Non-Traditional Security Studies, 2013. Tang Siew Mun. The shifting sands of the Malaysian political landscape and the impact on security sector governance (SSG). MacArthur Asia Security Initiative Policy Series Working Paper No. 24. Singapore: RSIS Centre for Non-Traditional Security Studies, 2013. Herman Joseph S. Kraft. 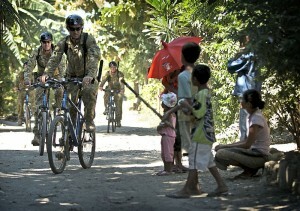 Cracks, bumps, potholes and U-turns: Negotiating the road to peace in Mindanao. MacArthur Asia Security Initiative Policy Series Working Paper No. 23. Singapore: RSIS Centre for Non-Traditional Security Studies, 2013. Keokam Kraisoraphong. Conflict in Southern Thailand: Seed for security sector reform? MacArthur Asia Security Initiative Policy Series Working Paper No. 22. Singapore: RSIS Centre for Non-Traditional Security Studies, 2013. Lina Gong. China’s Dual Approach towards the Protection of Civilians’, in Cecilia Jacob and Alistair D.B. Cook (eds. ), Civilian Protection in the 21st Century, New Delhi: Oxford University Press India, 2016. Tamara Nair. Gender Equity and ASEAN post-2015 RSIS Non-Traditional Security (NTS) Year In Review 2015, Singapore: RSIS, 2014 pp. 20-23. Sunil Unnikrishnan and Mely Caballero-Anthony, Zika and Health Security in Southeast Asia RSIS Commentaries, 22 September 2016. Celina Y. Loyzaga, From Brazil to Singapore: Containing Zika in Southeast Asia, RSIS Commentaries, 19 May 2016. Jonatan A. Lassa, Zika Risk Governance and Climate Change, RSIS Commentaries, 05 February 2016. Mely Caballero-Anthony and Gianna Gayle Herrera Amul. Keeping Ebola Away from Asia: Lessons from SARS. RSIS Commentaries, 15 October 2015. Mely Caballero-Anthony and Gianna Gayle Amul. MERS Alert and Polio Redux: Greater Vigilance Critical. RSIS Commentaries, 12 May 2014. Gianna Gayle Herrera Amul. Haze and Air Pollution: The Potential Health Crisis. RSIS Commentaries, 2 July 2013. Mely Caballero-Anthony and Gianna Gayle Herrera Amul. Re-emerging Infectious Diseases: Is ASEAN Prepared? RSIS Commentaries, 15 May 2013. Gianna Gayle Herrera Amul. Reducing Indonesia’s Health Risks: Filtering a Smoke-Free ASEAN? RSIS Commentaries, 17 September 2012. Mely Caballero-Anthony. Ebola and Asia’s Health Security. RSIS Non-Traditional Security (NTS) Year In Review 2014, Singapore: RSIS, 2014 pp. 8-11.